A $1,000 Wooster Rotary Art Scholarship, which originates from the net proceeds received by the Rotary Club of Wooster’s annual participation in the Wooster Arts & Jazz Fest, was given to MADELINE MOSES. She will be attending the The Ohio State University Agricultural Technical Institute and majoring in renewable energy. The Leroy and Helen Adams Community Service Scholarship goes to a student who has exemplified outstanding community volunteerism and will be attending a 4-year college. This year’s $1,500 award went to DAVID WOOD who will be attending the Purdue University studying computer science. The $1,500 W. Lee Culp Scholarship, which honors the dedicated work of long time Club Secretary W. Lee Culp goes to ALLISON LANKFORD, who will be attending Mount Vernon Nazarene University. The $2,500 Sam Shapiro Scholarship, which honors the excellent leadership of past Wooster Rotary Club President Sam Shapiro goes to KRISTEN IMHOFF. She will be attending the University of Akron studying dietetics. 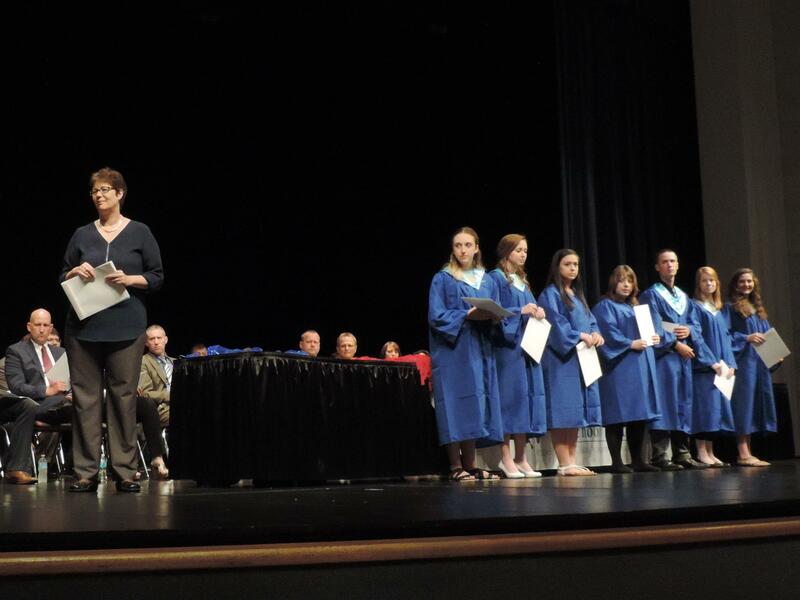 To date, the Rotary Club of Wooster has awarded 72 scholarships totaling $136,820.